There’s a fine line between influence and plagiarism, a line sometimes beyond the ability to define. At what point does it become dangerous to copy elements of a previous band’s sound? Adding echo to your guitar automatically lines you up with the alternative British rock of the eighties, particularly the pedal settings of U2’s The Edge. 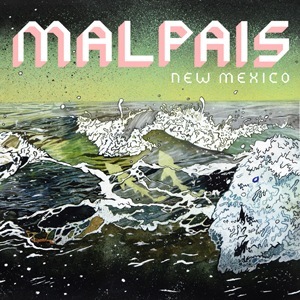 There’s really no dodging influence at the end of the day but New Mexico’s Malpais gets dangerously close to being a fuzzy, lesser copy of The Cure’s Seventeen Seconds. put in mind of Robert Smith’s eerie and wandering “A Forest,” then you’ve never heard “A Forest.” “Wandering” is another song with synths lifted directly from that band’s classic arsenal. The most disappointing thing about New Mexico is how the vocals don’t stand up to what they’re trying to be: a Cure tribute band.